Thank you for making room for us into your inbox. We know how busy things can be, particularly at this time of year. So begins our holiday blog series. We're midway through this series and we invite you to enjoy and comment. After the twelve days are complete, we'll randomly select one of you who commented and send that person a "treasure box full of ATCs!" along with the pens and pencils you need to enjoy it. After you finish reading this newsletter, come on over. We'll see you there! 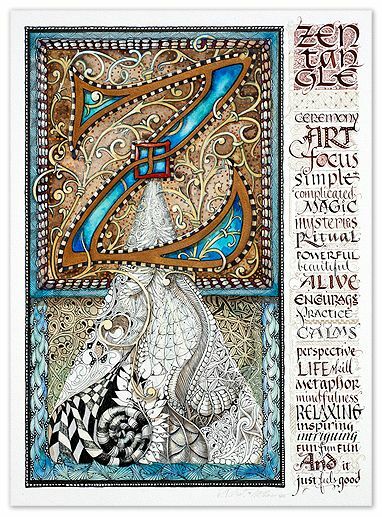 Actually, you may have seen some of these already, but until now, they've only been available to our Certified Zentangle Teachers (CZT). 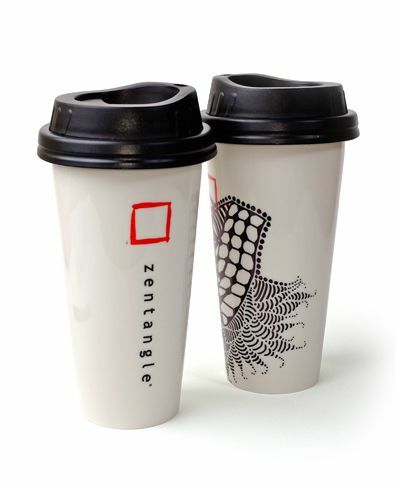 This cup is a joy to tangle and make your own. Molly tangled the one above with a Sakura� IDentiPen�. 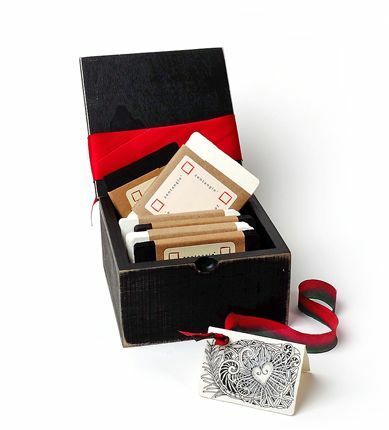 Or, as Maria likes to call it, her "Treasure Box!" 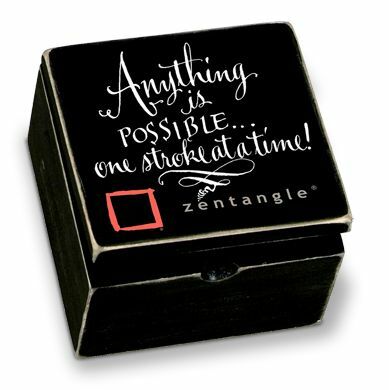 Imprinted with "Anything is possible, one stroke at a time™" and the Zentangle name and logo, this wooden box with hinged lid is designed to store your precious Zentangle square or ATC tiles. Outside, it measures 4.75" (120mm) square and is 2.75" (70mm) high. Inside it has enough room to comfortably hold over 100 tiles. Use this for blank tiles or your finished art. 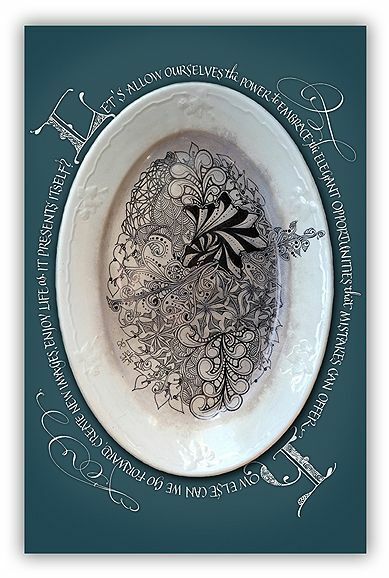 It's a great gift for yourself and for other tanglers! At our ninth CZT seminar, we began a tradition of commemorating each seminar with a new postcard. Each card is 5.5 x 8.5 inches (14 x 21.5 cm). We have created five so far! 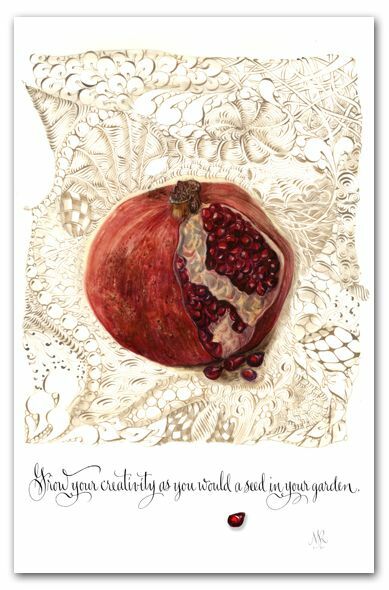 Each card is fun example of tangling possibilities. 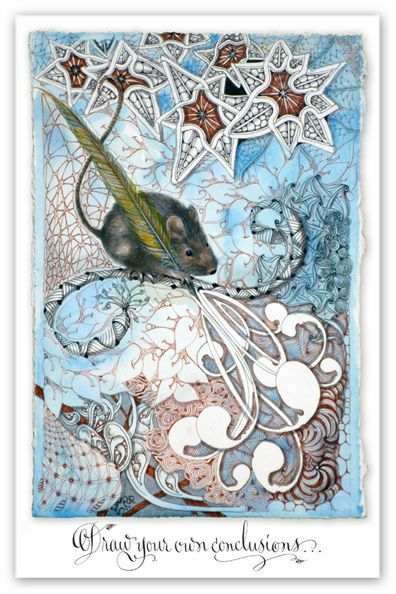 It's a great way to share Zentangle art and have a resource of tangles and techniques close at hand. the elegant opportunities that mistakes can offer. enjoy life as it presents itself? "What counts most with color are relationships. Thanks to them and them alone a drawing can be intensely colored without there being any need for actual color." We look forward to hearing from you on our "Twelve Days of Christmas" blog. Here's the link for Day 1.
. . . and you'll get a note whenever we post a blog entry. 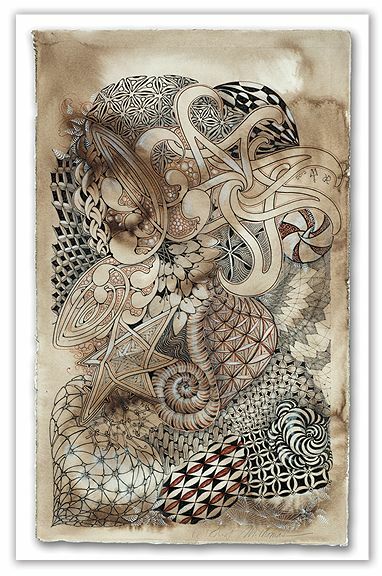 Thank you for playing with us on this wonder-filled Zentangle adventure.